Last week, Aveda and Essence Magazine hosted an amazing event at the Houston Galleria. 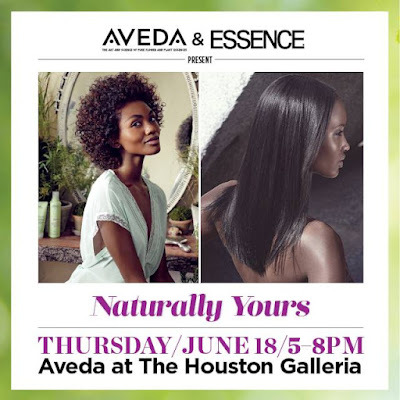 The event; appropriately hash tagged, #NaturallyYours featured Essence.com Hair and Beauty Editor, Deena Campbell (@DeenaCampbell), Aveda Celebrity Hair Stylist, Tippi Shorter (@TippiShorter), and Natural Hair Vlogger, Monica Stevens (@MoKnowsHair). Aveda's #becurly™product line was the highlight of the affair, as each beauty expert showcased their personal styling routines using their Be Curly products; revealing tips on how they achieve perfect curls, sans the frizz. 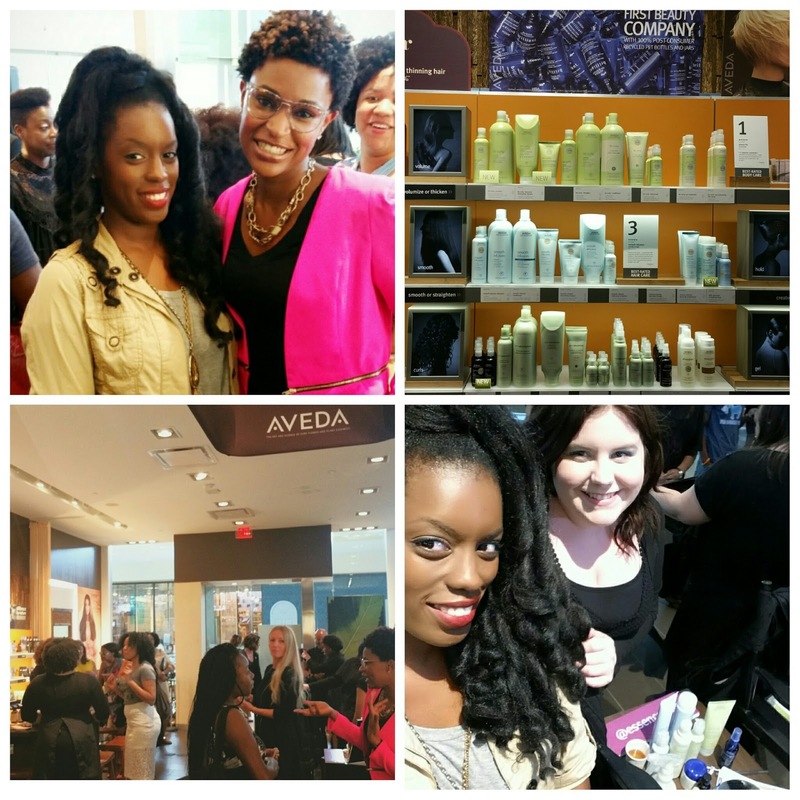 During the event, there were enlightening convos on the beauty and fortitude of natural hair, and guests were given the opportunity to engage individually with each expert, and an obliging team of Aveda advisors. I was charmingly over-indulged from the moment I waltzed through the door; from a tranquilizing neck and shoulder chirapasia, flavorsome canapés, to the lush signature cocktails by Hendrick's Gin. I also received the most amazing, stress-relieving hand massage from Aveda District Manager, Rhiannon Knapp. I felt so pampered and privileged! 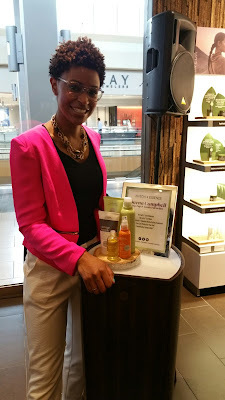 I especially enjoyed chatting it up with Deena Campbell! 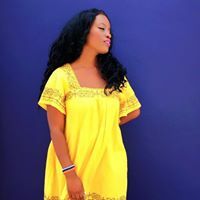 She was fun to talk to, and she gave me the deets on her awe-inspiring role as Essence.com Hair and Beauty Editor. Deena is pictured here, with the Aveda #becurly products she uses to fructify her curly tapered 'fro. I love the honeyed-hued accents in her hair! The be curly™ co-wash promises to moisturize curly/coily hair, clean scalp, and fight frizz (SWOON)! Aveda smooth infusion™ naturally straight. I'll use this for straigntening my natural curls and coils for days that I crave a sleeker, straightened style. Aveda dry remedy™ daily moisturizing oil. Oil is a staple in my home! I use this oil daily, to combat dryness in my skin and hair, and it works wonders! 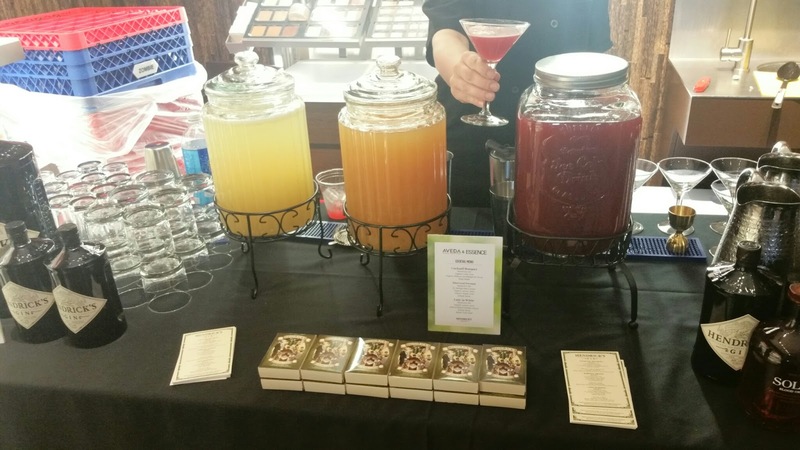 It's actually one of my faves, as I love a multifunctional product! 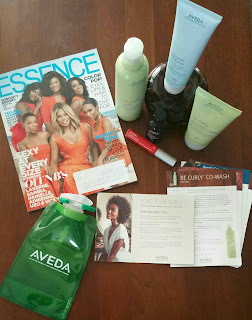 Aveda be curly™ intensive detangling masque. I will use this for detangling my curls (& my daughter's), detangling, and combating the dreaded frizz. Bonus Alert! Aveda nourish-mint™ rehydrating lip glaze, "fire poppy". I can't begin to tell you how happy I was to receive this, as I complimented a woman on the Aveda sales team on her lippie. She told me all about it, & when I checked my swag bag, I had the exact same color as hers! I LOVE, LOVE, LOVE a lippie! 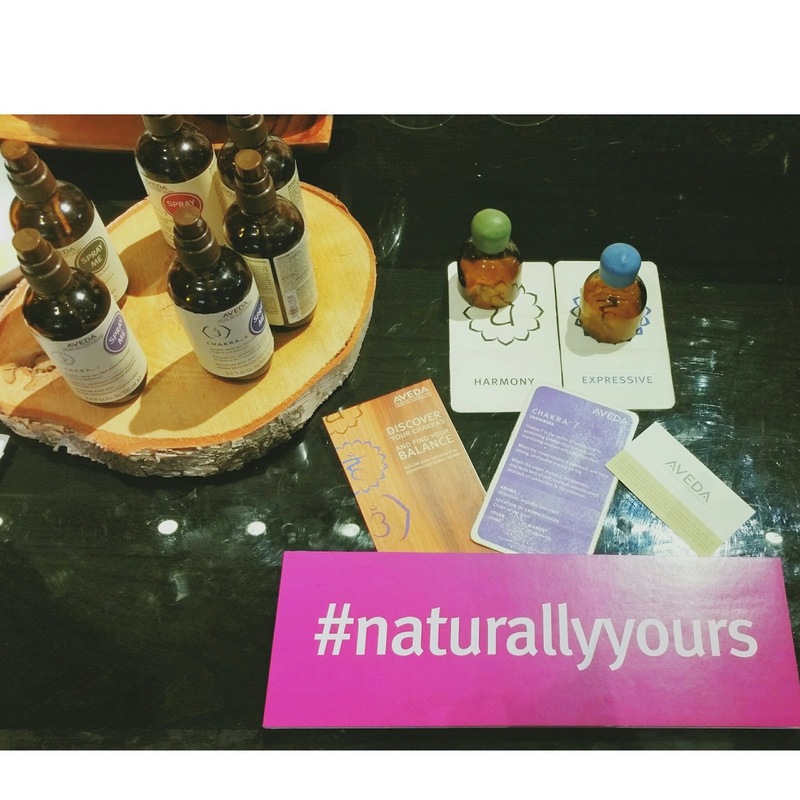 I enjoyed every moment of the #NaturallyYours event!